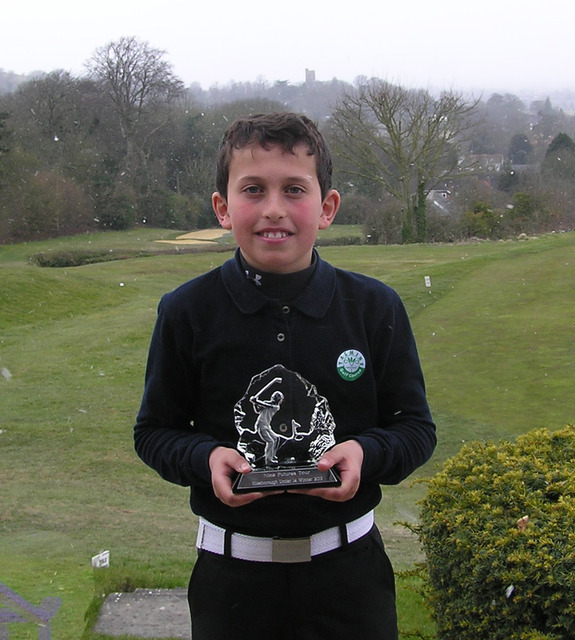 The 2013 golf season is now underway and we have our first winners, with Stoke Park taking the Junior Champion Club title at Harewood Downs during the Easter Holidays. They now go on to represent the County Union at Woodhall Spa in August and we wish them the best of luck and hope they can return as England Junior Champion Club. Our Futures Tour, kindly sponsored by Nike, continues with 11 events for those in the age categories of Under 12 and Under 14. There is also an Order of Merit running within each Age Group. We have had 3 events so far at Ellesborough, Temple and Sunningdale Ladies. Results can be found on later pages. The poor weather has hampered our 1st Team preparations as a number of friendly matches have had to be called off. Let us hope that this year we actually can complete all our matches and Championships without monsoon like conditions. Again, our thanks to Nike for providing kit for the Squad Members and to Fullers for their financial support. Duncan was born and educated in Edinburgh and started playing golf at age 17. He joined Mortonhall Golf club in1960 and was a member for approximately 50 years. Whilst in Scotland Duncan was also a member of Monifieth and Tantallon (North Berwick) Golf Clubs. During that time he played a number of district representative matches. Duncan then came South, to work, in 1991 and joined Sonning Golf Club where he is still a member. Since then he has represented Scotland at Senior level in the Home Internationals, won the BB&O Seniors Championship and the South East Seniors Championship. He was appointed County Captain in 2006 and served on The Executive Committee for 5 years before becoming President in 2013. He has been retired for some time and apart from golf his main interest is his 4 grandchildren. We have played just 3 warm up matches against Frilford Heath and Surrey and Stoke Park. A draw, a loss and a win hasn’t helped selection much but as usual, with so many players unavailable early season, the Captain, George Wilson should still be able to pick a fairly strong side for our first League match against Essex on 12th May. 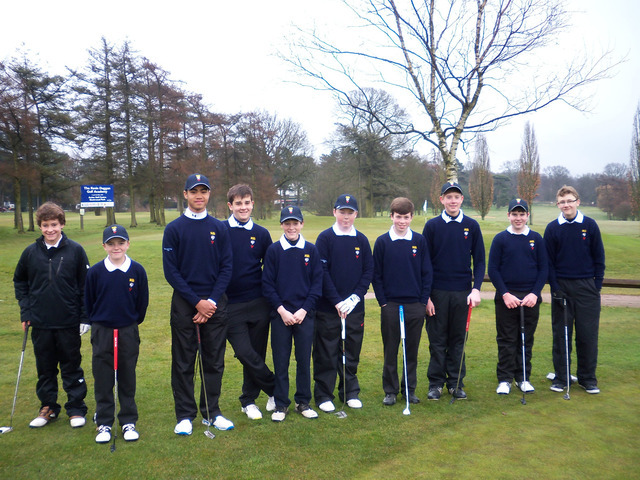 The Junior Elite Squad played our season-opener against Wellington College on March 9th on a cold but dry day. The course was in good condition considering the heavy rain and was, as always, a good test for the boys. We fielded a 10-man team for singles only - but instead of playing traditional match play, we had 10 medal matches which helped both team managers assess the relative abilities of new squads. We are fortunate to have strength and depth all the way through the Squad this year and so five players were rested for this match. On this occasion we were too strong for Wellington with 10 a-side and enjoyed a 6½-3½ victory. However, with the bottom four BB&O boys winning, the match was close amongst the top six. Thanks to all the parents and supporters from BB&O and also to Wellington College for their excellent hospitality. Team at Wellington College: Patrick Bart (Burnham Beeches), Sam Brass (Castle Royle), Alex Buckner (Bearwood Lakes), Michael East (Castle Royle), George Gardner (Castle Royle), Christian Jones (Mill Ride), Jack Landauer (Blue Mountain), Chris Little (Frilford Heath), Alex Nicholls (Goring & Streatley), Elliot Wills (Beaconsfield). Next we took on Surrey at Frilford Heath on 20th April. For once it was a pleasure for the weather not to be the main focus of a BB&O event. It was a stunning spring day with a light breeze and a beautiful blue sky most of the day. All the players appreciated wearing only one or two layers and some of the golf reflected the upbeat atmosphere. Surrey arrived with the strongest team they could have put together and were clearly ready to avenge their defeat at the same venue two years ago. The morning foursomes finished honours even with two wins and a half each. Surrey played arguably their two best players in the last group and this was certainly a wake up call for us. We did have some good performances in the afternoon but in the end Surrey were far too strong and took the singles 6½-3½ for a 9-3 win. This is a young side who were used to winning everything last season. This standard is a big step up for most of them and they know this now. Team at Frilford Heath: Patrick Bart (Burnham Beeches), Sam Brass (Castle Royle), Alex Buckner (Bearwood Lakes), Michael East (Castle Royle), Jack Landauer (Blue Mountain), Chris Little (Frilford Heath), Louie Moore (Beaconsfield), Alex Nicholls (Goring & Streatley), Tim Shin (Castle Royle), Elliot Wills (Beaconsfield). Our 3rd game was against Bedfordshire at Studley Wood on 27th April. This was our second full match this season against another County and we were anxious to put behind us last week’s performance against Surrey. Studley Wood is also the venue for this year’s six man team event and so we were able to start learning the course and prepare better than any other year. Sadly, it was windy and cold again and the occasional hail shower certainly tested the players. We had three of the Squad away on England regional duty and one with some imminent important exams, so we had to play a weaker team than we would have liked. We also lost an opportunity for three of the possible team to see the course for a couple of extra rounds. The morning foursomes gave us a comfortable lead with four wins and a half from five matches. Leading pair, George Gardner and Sam Brass’s eagle on the last was probably the highlight to win their match 1 up and a good testament to their concentration all the way through the match. The singles were generally disappointing against a traditionally weaker County. Although we tied them 5-5 for the overall win 9½-5½ we are going to need to do better. Team at Studley Wood: Patrick Bart (Burnham Beeches), Sam Brass (Castle Royle), Alex Buckner (Bearwood Lakes), Alister Cameron (Beaconsfield), Zac Cooper (Beaconsfield), George Gardner (Castle Royle), Christian Jones (Mill Ride), Jack Landauer (Blue Mountain), Louie Moore (Beaconsfield), Tim Shin (Castle Royle). The Under 16s started the defence of their title with wins against both Middlesex and Bedfordshire on a bitterly cold and blustery day at Buckinghamshire on 10th April. The format, as last year, was triangular matches of foursomes in the morning and singles in the afternoon. Team at Buckinghamshire: Sam Boffin (Hadden Hill), Dylan Brownlie (Castle Royle), Zac Cooper (Beaconsfield), Michael East (Castle Royle), George Gardner (Castle Royle), Alex Nicholls (Goring & Streatley), James Smith (Frilford Heath), Elliot Wills (Beaconsfield). The first League Match of the season took place at Stockwood Park on 10th April. We play 9 holes of foursomes in the morning followed by 18 holes of singles in the afternoon. Each game is played against 2 opponents so it essential to get off to a good start. This match was against Middlesex and Bedfordshire and we were hopeful of getting 2 wins. The venue was Stockwood Park in Luton which is where Bedfordshire hold the majority of their coaching sessions since there is a very good 9 hole par 3 course as well as an 18 hole mostly parkland municipal track. Heavy overnight rain had little effect on the course but all but a few bunkers were full of water and declared GUR for the afternoon singles. The weather conditions were reasonable - little wind but heavy showers for most of the day. Once again, Middlesex were short a player in the morning. Not that a full team would have made much difference as BB&O beat Middlesex 5-0 and Bedfordshire 5-0. Team at Stockwell Park: Nick Elmey (Drayton Park), Mitchell Green (Drayton Park), Daniel Hearmon (Reading), Stanley Lewis (Chartridge Park), Guilhem Loisel-McFadden (Castle Royle), Fraser MacDonald (Sonning), Aiden Osobese (Stoke Park), Gregor Prebedy (Maidenhead), Steven Stanhope (Frilford Heath), Max Stradling (Goring & Streatley). Our first event took place at Ellesborough on 4th April. It was freezing cold and in the end we even had some snow as the pictures of the winners attest. Despite this there was some very good golf with John Gough’s score of 73 being an outstanding effort. He was well clear of Guilhem Loisel-McFadden (Castle Royle), with Olly Huggins (Carswell) in 3rd Place. In the Under 12s category Daniel Stafford (Castle Royle) led with way, beating Conor Gough (Stoke Park) into second with James Gregory (Stoke Park) in 3rd. We then travelled to Temple for our second event on 9th April and although the weather was better, you could hardly call it a fine Spring Day. Once again, some very good scoring and a real feeling of déjà vu as John Gough and Daniel Stafford claimed the honours in their age groups. 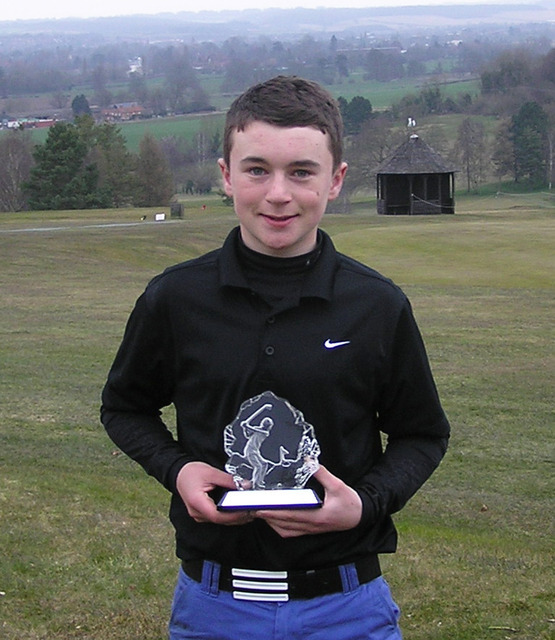 In the Under 14s John Gough (Stoke Park) scored another excellent 73 with Stanley Lewis (Chartridge Park) in second with Aiden Osobase (Stoke Park) in 3rd spot. In the Under 12s Daniel Stafford claimed his second win, again beating Conor Gough, John’s brother, into second with James Duffy (Castle Royle) claiming 3rd place. Next port of call was Sunningdale Ladies, a delightful, tricky short course. This layout would suit the younger, less powerful players as length off the tee is not a prerequisite. That proved to be the case as many of the lads had exceptionally low nett scores and got their handicaps tumbling down. However, the main prizes are awarded to gross scores and this time it was Steven Stanhope (Frilford Heath) who stopped John Gough’s hope of a third win with a great score of just 1 over par. Not too often you can shoot 59 - on any course! 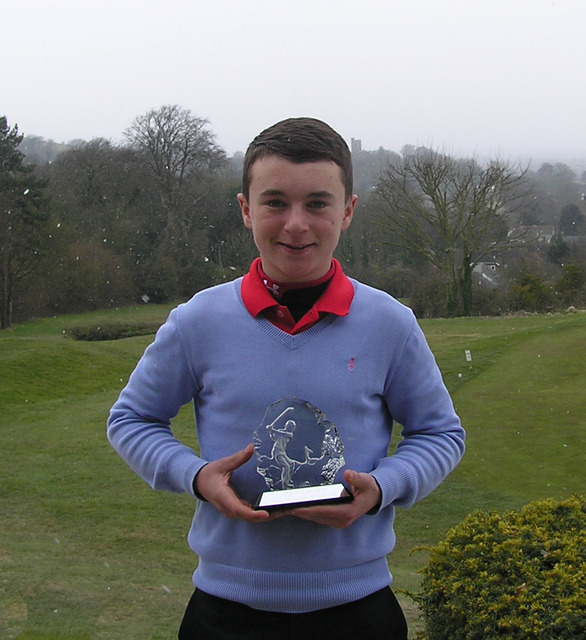 John came in second 3 shots back and 3rd place went to Sebastian Jones (Castle Royle) who has recently been selected for the Wales Boys Team. 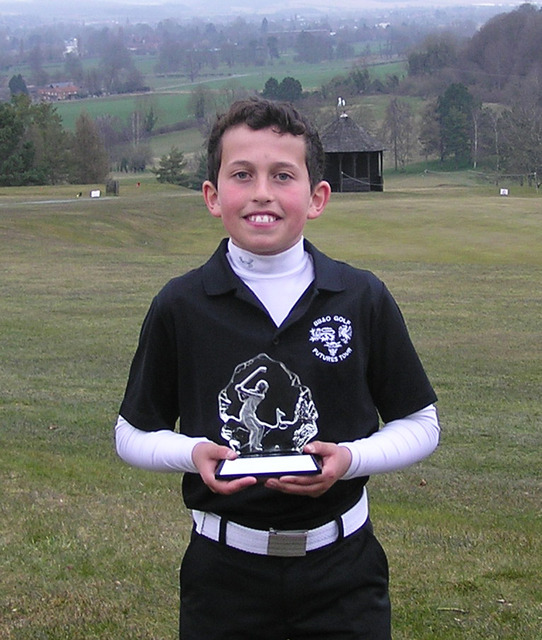 In the Under 12s Struan Hancock (Bearwood Lakes) had a fine 66 to win on countback from Thomas Gregory (Stoke Park) who beat his brother James by one shot. Our next event will be at Hadden Hill at the end of May and a week later at Badgemore Park. We then take a break until the summer holidays. By then most of these young lads handicaps will have come down dramatically. 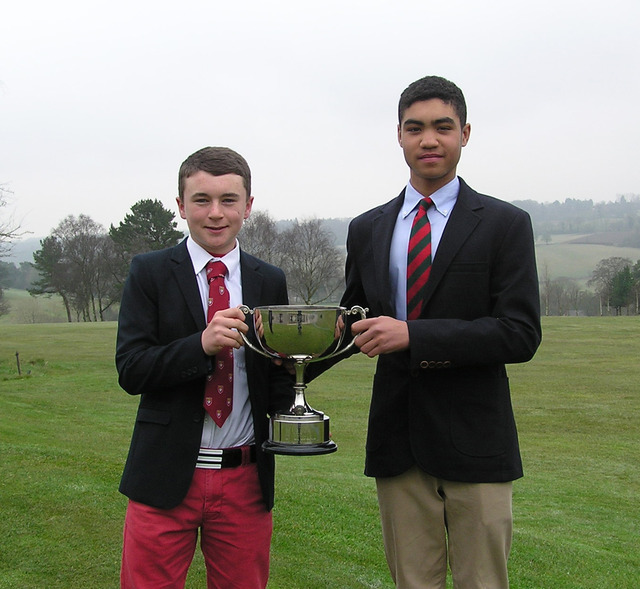 The BB & O Junior Champion Club was played at Harewood Downs Golf Club on Monday 11th April. The format is the best two medal net scores from three counting. Players are restricted to 20 for Boys and 28 handicap for Girls. 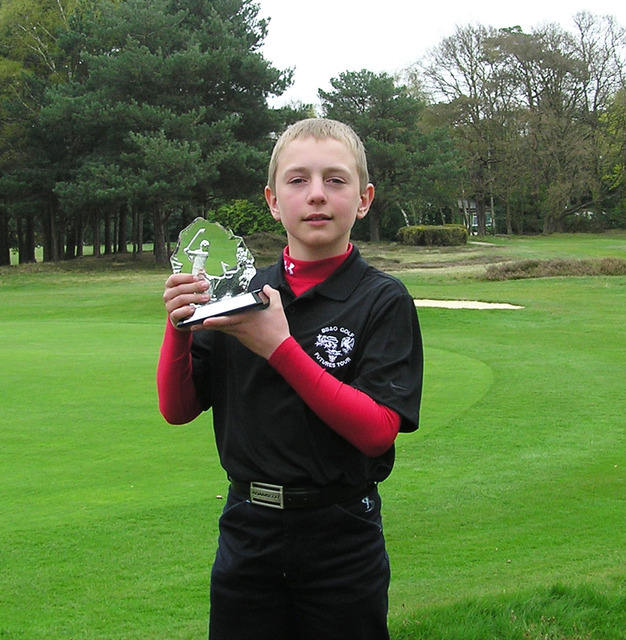 The leading Club goes on to represent BB&O in the English Junior Champion Club Tournament being held this year at Woodhall Spa in August. It was a very close contest for most of the day as the lead changed hands several times as each team posted 2 counting scores. This year, for a change, there was no runaway winner and in the end just 3 shots separating 1st from 8th. A day of ‘what might have been’ -if -‘I’d only 2 putted the last’. Any Club could have won. All the players were a credit to their respective Clubs and the event was played in great spirit and everyone wished Stoke Park the best of luck in their attempt to become English Junior Champion Club in August. 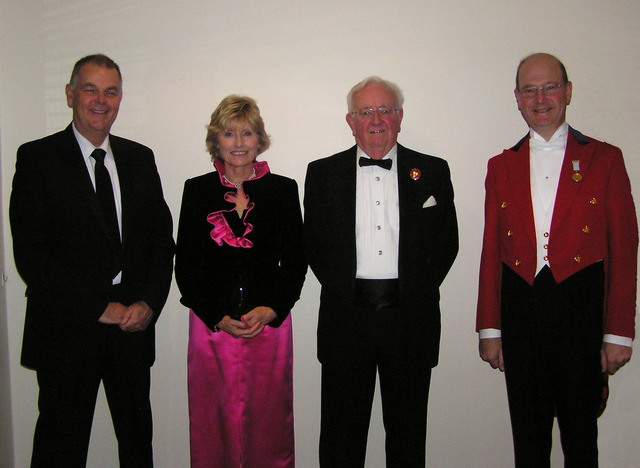 The 51st Annual Dinner of the County Union was held at the Blue Mountain Golf Centre on Monday 4th March. Some 230 people had an excellent evening listening to our three Guest Speakers. Pam Benka, President of England Golf and Pierre Bechmann, Captain of the R&A were the Principle Guests and Geoff Miller was our final - and extremely amusing - speaker. 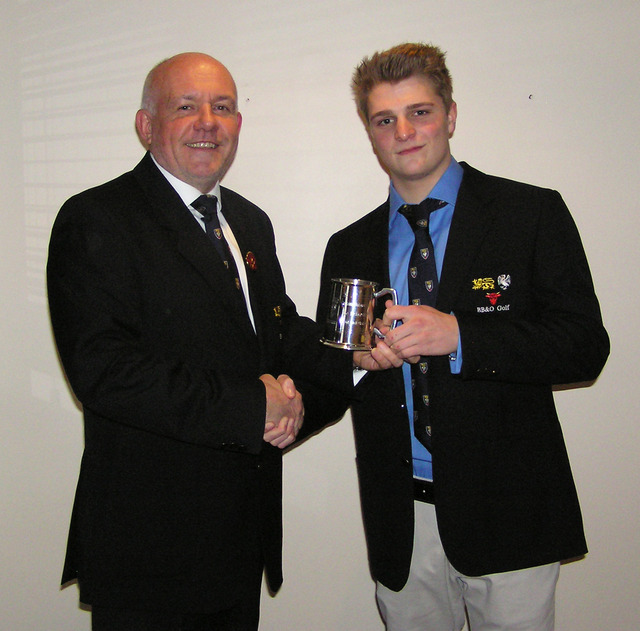 Elliott Wills (Beaconsfield) won the Boddington Trophy in 2012. 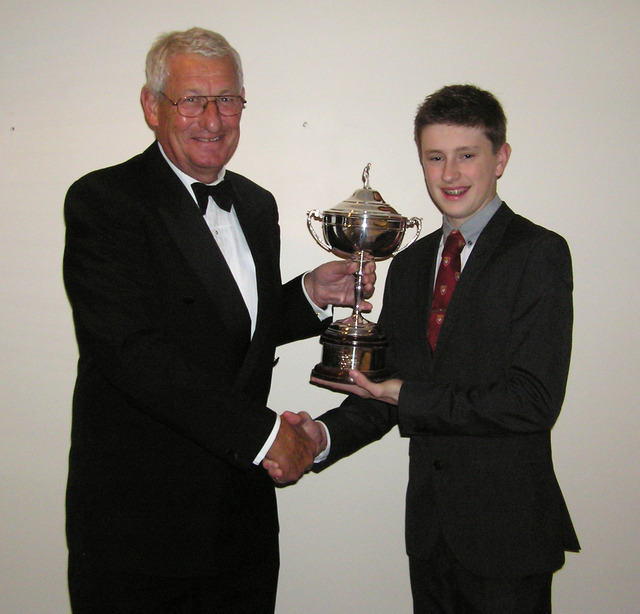 This award, given by the Honourable Company of Oxfordshire Golfers is for the most improved Junior in BB&O. 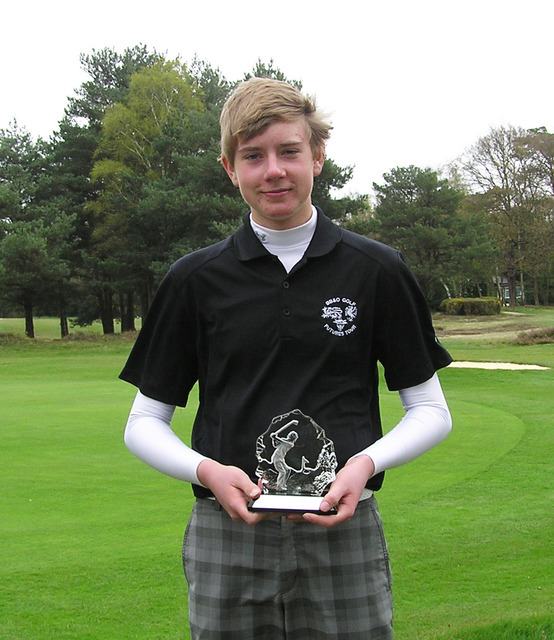 Joe Richardson (Frilford Heath) was the Captain’s choice to receive the Player of the Year award and Jack Haines (Buckinghamshire) and Carl Corbin (Wokefield Park) shared the Order of Merit Trophy. 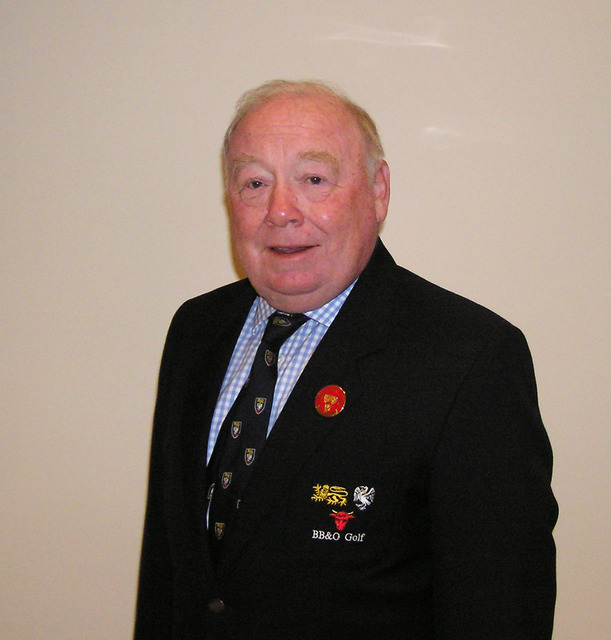 In accordance with the Notice sent to all affiliated clubs in November 2012 – Terry Jackson (Maidenhead) was unanimously elected to the Executive Committee. Hard to believe that last year most of the 'Any Other Business' focused on the effect of the current water shortage on Golf Clubs.